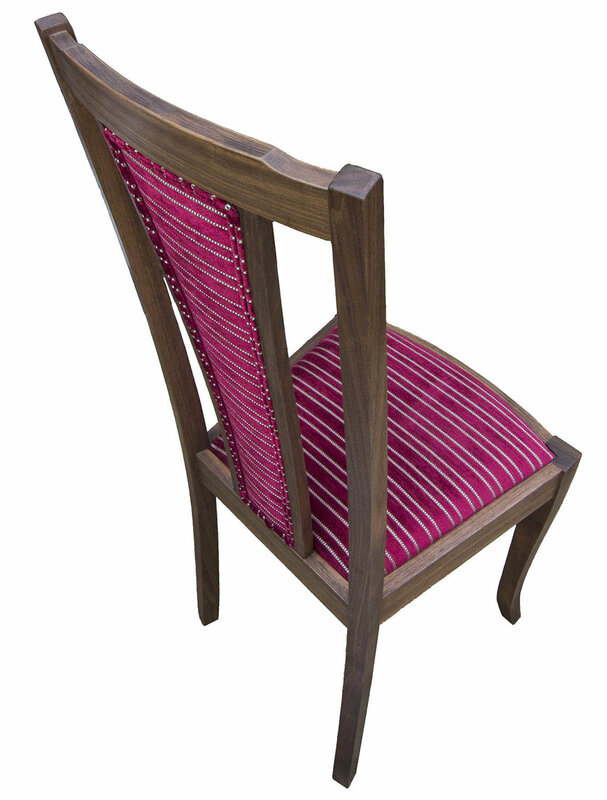 A solid walnut dining chair with upholstered back and drop in seat. 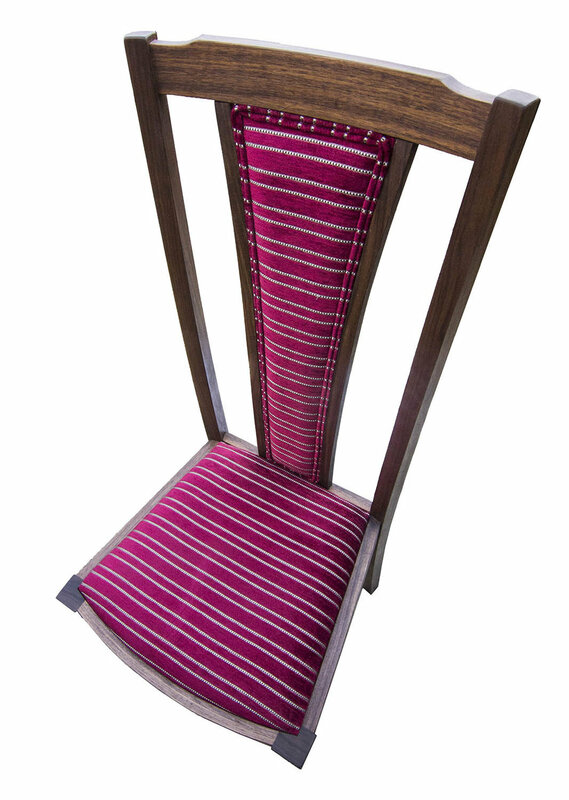 The chair is part of a set of 10 which were made for an expanding circular dining table. 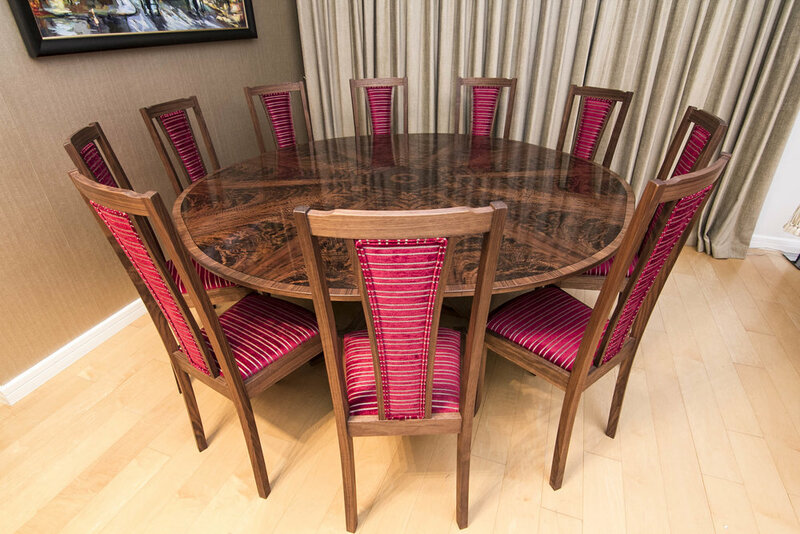 You can see more pictures of the dining table here.